Zoom Car Removals, Sydney is a team of professional car wreckers. As one of Sydney’s leading auto recyclers, Zoom Car Removals has been working hard to serve the automotive needs of our customers for so many years. We source and recondition all types of salvageable car parts to ensure that you get quality spares at a fraction of the cost of their brand new counterparts. Our professional auto experts, based in Sydney, will never provide anything but the best possible parts at the best possible prices. As well as second hand and reconditioned parts, we also have a great range of new parts. So give us a call and we should have the part you’re looking for. We have the equipment and machinery to get rid of any size or shaped vehicle including vans, Trucks Wreckers, 4WDs, SUVs, you name it. And the best part is you get cash in the hand and on the spot. We do not care what condition is your vehicle, we buy all types of cars any model any condition. 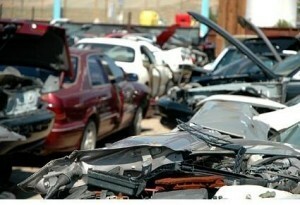 Unwanted cars, accident vans, scrap trucks or even damaged or used auto we buy them all for cash. If you have a car in any part of Sydney we can tow the car free of charge to our yard. The Australian standards for the disposal of fuel tanks, oil containers and tyres are upheld by our service. You can trust that we will take responsible action in environment protection when disposing of all car wrecks. At Zoom Car Removals, we are conscious of not only the environment but your pocket as well. We will give you instant cash for all truck removal, smashed cars, and your write-off and ensure it is properly disposed off and recycled when appropriate. We are committed to preventing hazardous materials contained in end-of-life vehicles from contaminating our water, land and air during and after the vehicle recycling process.